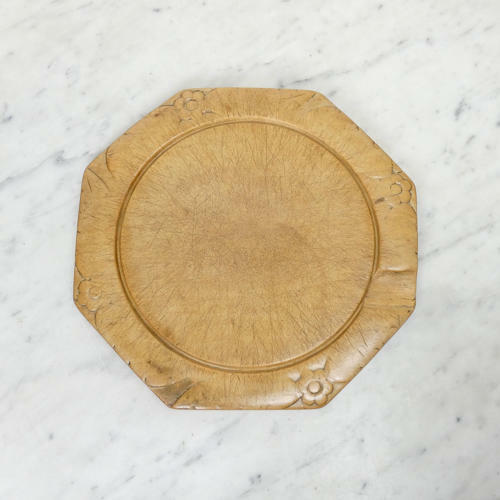 An octagonal, Victorian breadboard carved from beechwood. This board is quite simple in form and it dates from c.1890. The border is carved with flowers and leaves but the carving is now very well worn, from use. There is also quite a large piece missing from the top of the rim of the board and the centre is quite scratched from use. The wood has a good colour and patination.